I train very early in the morning -- 3:45 am. As a result, I run on a treadmill rather than outside. 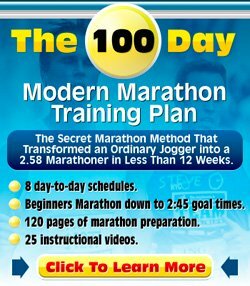 I will be running a 6.5 mile road race and wanted to know what to expect when I transition from my treadmill to the road. I generally run about 6-7 miles 3 days per week at a 7:25/mile pace and run about 8.5 miles 1 time per week at a 7:40/mile pace. What kind of pace should I expect to run in the road race? This is a tough one. It is hard for me to assess how fast you would run your race because I don't know if those training speeds are at easy pace, tempo pace etc. And, as you will find out soon, running on a treadmill is quite different from running on the road. try to do some of your training runs on the road. I understand your issues with the time of day (and complete respect for getting up that early, mate!) but I am afraid you are not going to enjoy your road race if you have not had the experience of running on the road before. It is completely different and the first few times you run on the road you may feel you are going very, very slow and not able to push yourself forward. Treadmill running is a great substitute for road running, but does not replace it. When running races, you will want to have had at least some experience with road running because otherwise you will end up being very disappointed with your time and your race.